The Northwest Territories Nomination Program (NTNP) has been established by the Government of Northwest Territories to help suitably qualified applicants immigrate to and settle in the territory. If an application to the program is successful the applicant will be recommended to Immigration, Refugees and Citizenship Canada (IRCC) as a suitable person to be given permanent residency in Northwest Territories. IRCC always makes the final decision on residency visas. There are four different streams through which potential immigrants can apply, which are detailed below. It's important to remember that applications will not be accepted from people applying for refugee status in Canada, who have had refugee status declined, who are fighting a decision to have them removed from Canada or who are in Canada illegally. The Express Entry stream works with the IRCC Express Entry system to help accelerate the process of permanent residency application for suitable candidates. To apply for inclusion in the IRCC's Express Entry "pool," candidates should fulfil the requirements of either the Federal Skills Worker program, the Federal Skilled Trades program or the Canadian Experience Class. More information about these programs and their requirements can be found here: http://www.cic.gc.ca/english/express-entry/ . Once accepted into the pool candidates who have a job offer from a Northwest Territories employer can inform the Northwest Territories authorities of their desire to settle in the territory and, if accepted on the NTNP, they will inform the IRCC that they approve the application. Applicants must be able to give Northwest Territories authorities their Express Entry Profile Number and Job Seeker Validation Code from the IRCC. Applicants in this stream must work in a National Occupational Classification 0, A or B profession, have adequate language proficiency in English or French, have certification or qualifications which match the chosen occupation and show an intention to settle permanently in Northwest Territories. Applicants already living in Canada must have a valid work permit. All applicants must show that they have adequate finances to settle themselves and any dependents in Northwest Territories (minimum $10,000 for the first applicant and $2000 for each dependent). The Critical Impact Worker stream is intended to fill gaps in the Northwest Territories labour market, specifically targeting semiskilled and unskilled occupations (National Occupational Classification C and D – the classifications can be seen here: http://www.cic.gc.ca/english/immigrate/skilled/noc.asp ). Applicants through this stream must have a temporary foreign worker visa and have been working in the position for which they been offered a permanent contract for at least six months. Applicants must have reached at least level 4 on the Canadian Language Benchmark tests for listening, speaking, reading and writing in English or French. Applicants must have any qualifications and/or certification required to do the job they have been offered and they must show that they have adequate finances to settle themselves and any dependents in Northwest Territories (minimum $10,000 for the first applicant and $2000 for each dependent). This stream is open to skilled workers who can fill vacancies in Northwest Territories. These workers must work in an occupation that falls into National Occupational Classification Skill Levels 0, A or B and have a job offer for a full-time permanent position with a Northwest Territory employer. The proposed employment must be at a rate of pay that matches industry standards, and the employer must demonstrate that they have made reasonable efforts to recruit Canadian citizens and/or permanent residents without success. Applicants must have adequate training and/or education for the position they have been offered, have suitable work experience and competency in English and/or French sufficient for their employment. Applicants already working in Northwest Territories must have a valid work visa. They must also show that they have adequate finances to settle themselves and any dependents in Northwest Territories (minimum $10,000 for the first applicant and $2000 for each dependent). The Entrepreneur Stream helps immigrants who want to take up permanent residency in Northwest Territories and either establish or take over a business. Any business proposal will be considered, though priority will be given to those businesses which either will increase the variety of businesses in Northwest Territories or which will give the territory a significant economic boost. Applicants should do as much research as possible into the Northwest Territories and provide a detailed business plan showing how their proposed business will fit into the local economy. Those planning to apply in the Entrepreneur Stream must make a business trip to Northwest Territories before submitting the application. This trip must be a minimum of four business days. After making this trip applicants will be interviewed by staff from the NTNP: in this interview the business plan will be reviewed and the applicant’s business knowledge, communication skills and understanding of Northwest Territories will be assessed. After this interview the candidate may be invited to submit an application, although this does not guarantee final acceptance. Once a candidate is accepted they must pay a refundable $75,000 deposit that will be returned once the terms of the Entrepreneur Stream agreement are met. 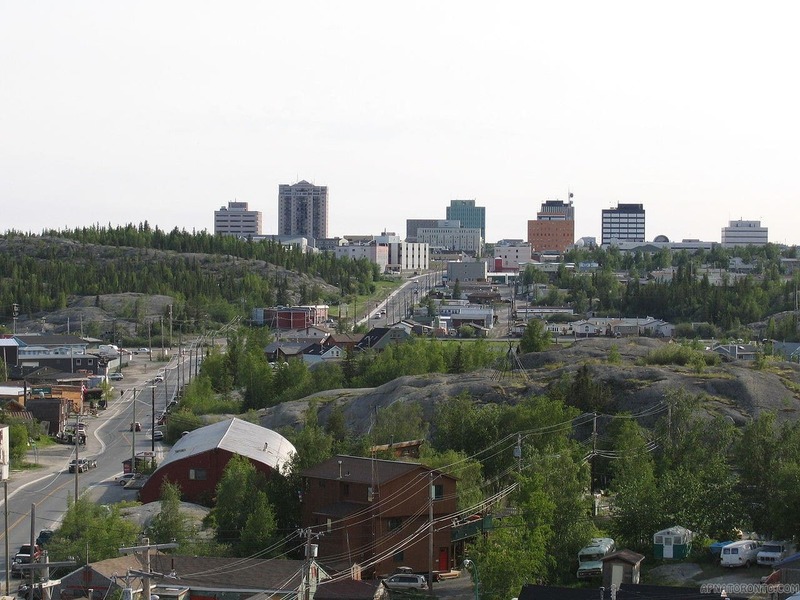 Applicants must demonstrate that they are prepared to invest a minimum of $150,000 into their business ($300,000 in Yellowknife) and that they have a personal net worth of at least $250,000 ($500,000 in Yellowknife). They must own a minimum of one third of the proposed business unless they are investing over $1 million in which case this requirement is waived.